Carl Martin Hot Drive'n Boost has been carefully designed to imitate the sound of a good old-fashioned distorting Tube-Amp. The Hot Drive'n Boost is the perfect choice for that crunchy blues tone, with plenty left over for a great hard rock tone as well. 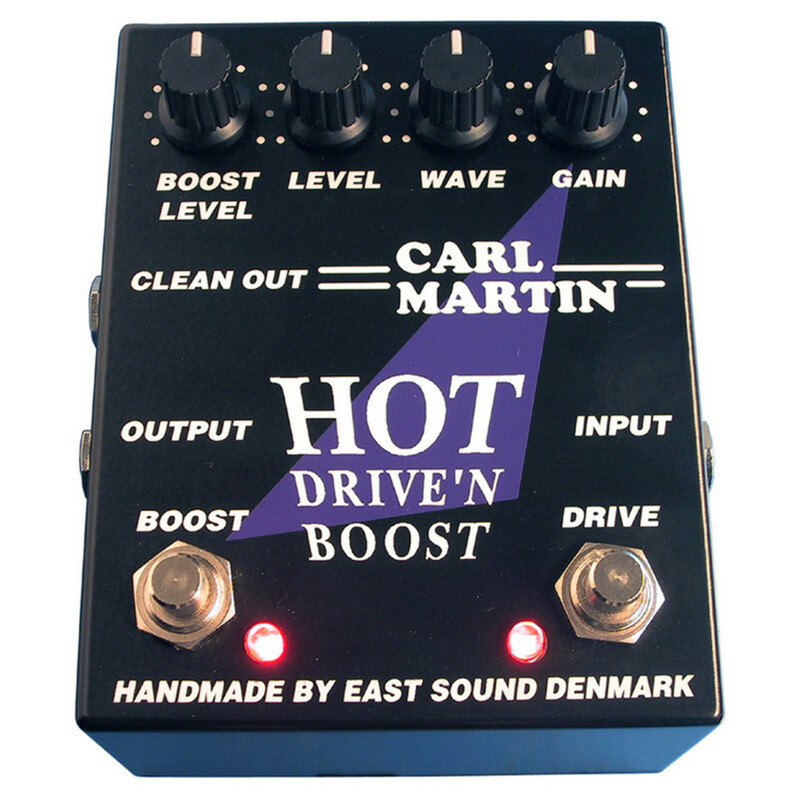 With the BOOST feature the Hot Drive'n Boost is a "TWO IN ONE" pedal. That allows you to get that extra "kick" (up to 20db) for solos to really stand out. The Hot Drive'n Boost has a built in regulated (+-12V) power supply. This enables us to design circuitry of the highest quality with maximum headroom. The low output impedance insures a low noise connection, and gives improved working conditions for the guitar amp.